Fayette’s 2018 graduates maintained the school system’s traditionally high average composite score on the ACT, a national college admissions exam, continuing the five-year trend of high performance on the college readiness test. 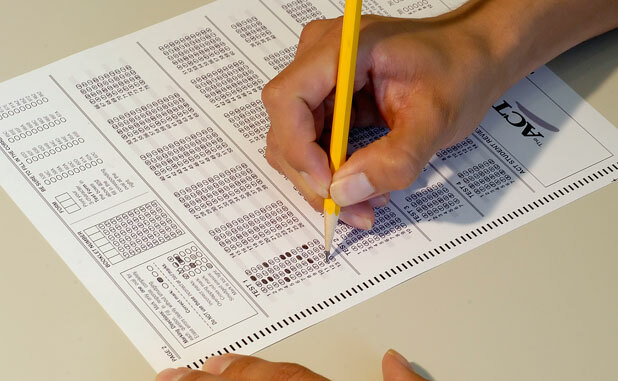 School system spokesperson Melinda Berry-Dreisbach said Fayette’s 2018 average composite score was 23.4, the third highest in the state and in the metro Atlanta area when compared to school systems with over 1,000 test takers. It also ranks in the top one percent of the 162 school systems in the state that had ACT scores. The county’s average score is 2 points higher than the state average of 21.4, and 2.6 points higher than the national average of 20.8, Berry Dreisbach said. “All five high schools landed in the top 46 percent of Georgia high schools,” she said. Compared to the 378 Georgia high schools with ACT scores, some testing fewer than 100 students, McIntosh is 15th in the state, Starr’s Mill is 21st in the state, Whitewater is 33rd in the state, Sandy Creek is 91st in the state, and Fayette County High is 175th in the state, Berry-Dreisbach said. Starr’s Mill High, Sandy Creek High and Fayette County High all increased their scores by eight tenths, two tenths and four tenths of a point, respectively. McIntosh High’s score remained the same, and Whitewater High’s score dropped seven tenths of a point. A total of 1,121 students in Fayette took the 2018 ACT, a one percent increase from last year. The ACT consists of curriculum-based tests of educational development in English, math, reading, and science designed to measure the skills needed for success in first-year college coursework. Next articleIs a new downtown in Peachtree City’s future?